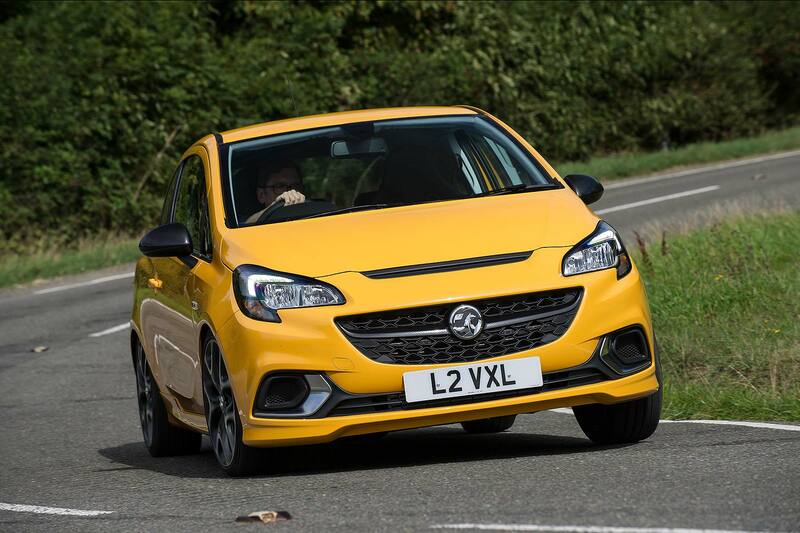 The 2018 Vauxhall Corsa GSi doesn’t sound like a car that should work. 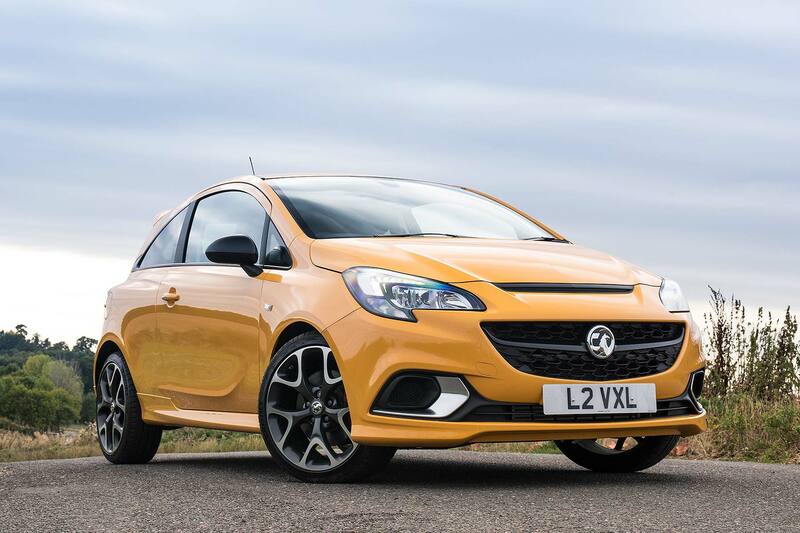 Replacing the Corsa VXR, whose punchy 200hp-plus 1.6-litre turbo engine is no longer emissions-compliant, it combines rabid VXR styling with a more sombre 1.4-litre turbo engine putting out just 150hp. 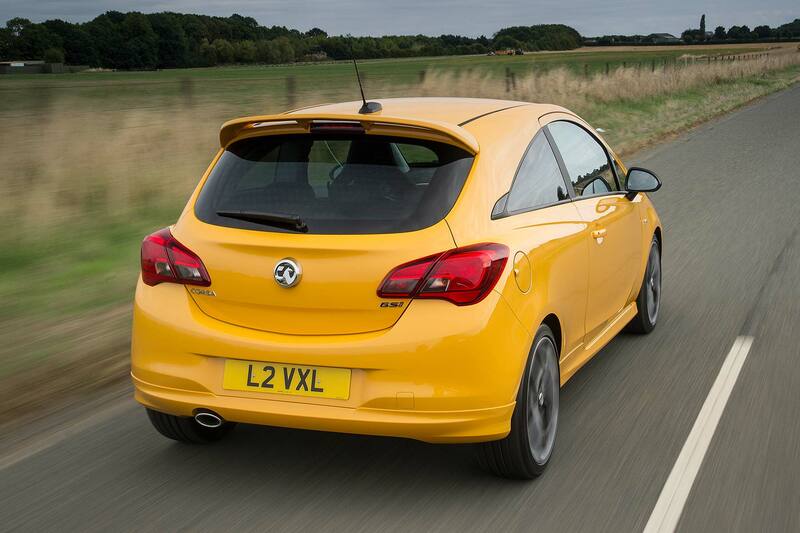 As backward steps go, it’s startling, particularly as Vauxhall’s still charging from £18,995 for it. That’s the same price as the new Ford Fiesta ST, a car with, um, 200hp. And we thought the 136hp Suzuki Swift Sport was expensive, at £17,995. Just two stars were duly packed for the first drive event in Leicestershire. The below-par verdict virtually wrote itself. But then we got there, and looked at it, and thought it didn’t half look bad. The VXR bodykit still stands out and big (optional) 18-inch wheels are as striking as the bucket-style (optional) Recaro seats (options that take the price to *deep breath* over £20,000). We could yet be swayed, particularly when Vauxhall spoke of the capped power output being a bonus – making it insurance-friendly for its key younger-driver target audience. It’s more than just a 1.4-litre turbo with a bodykit beneath, too. 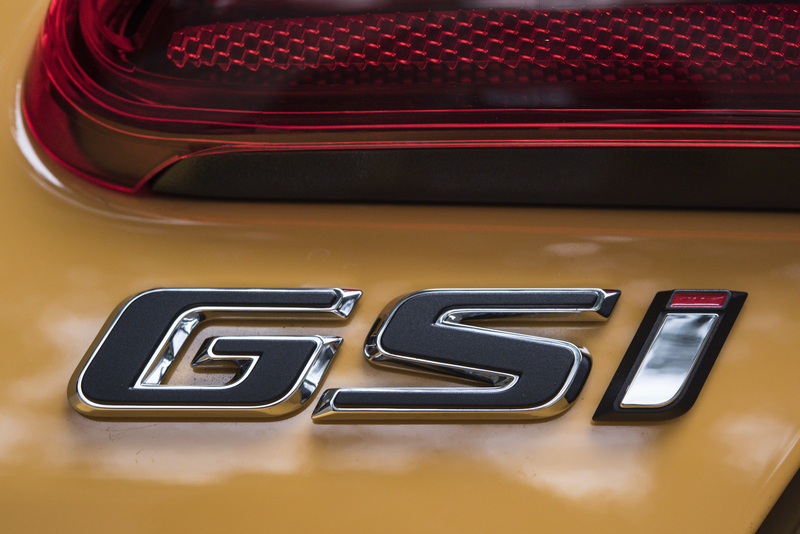 For starters, Vauxhall has retuned the GSI’s engine. It doesn’t have any more power, sadly (even, say, 160hp would be better than nothing), but it does have a sprightlier spread of power, with more effervescence in the upper reaches of the rev range. 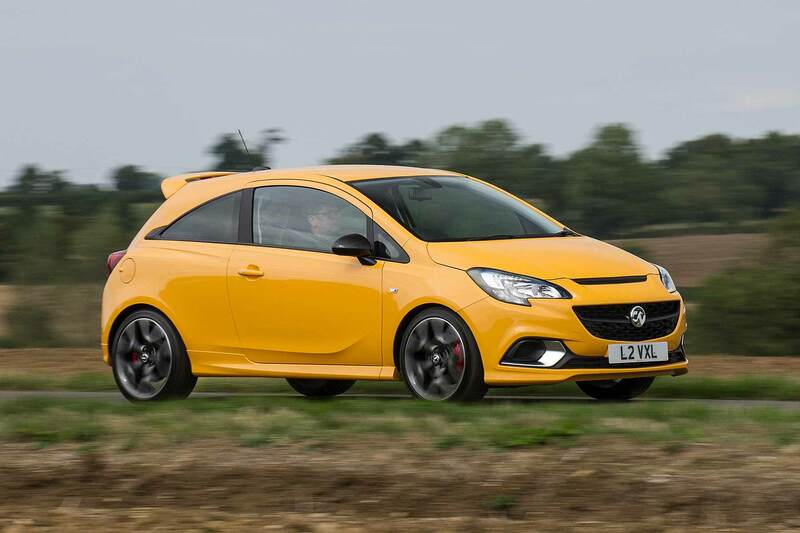 Thanks to recalibrated boost pressure, injection timing and other detail tweaks, it no longer tails off and gets aesthetic over 5,500rpm – it pulls right to the redline, says Vauxhall, and peak power is delivered closer to the rev limit. There’s even a close-ratio gearbox to help it spin harder. Which is every 21-year old’s dream, right? 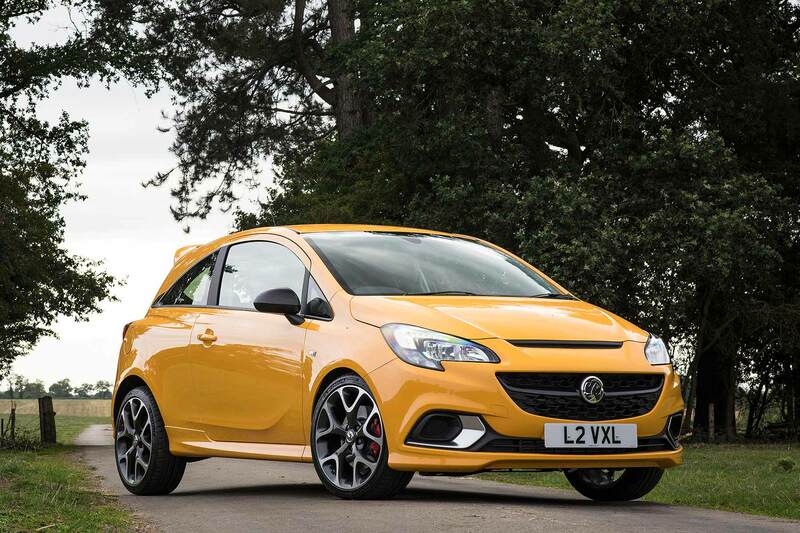 Uprated 308mm front discs slow it down, and for those who choose the 18-inch wheels instead of the standard 17-inch alloys, Vauxhall fits exotic 215/40-section Michelin Pilot Sport 4 tyres – the sort of standard-fit rubber you usually get on sports cars. Even better, it has suspension hardware worthy of a supercar. The very same Koni dampers, with their dual chamber pistons, are fitted as standard, significantly broadening the breadth and ability of the chassis. Koni advertising isn’t plastered all around the Nürburgring for nothing, you know – this is race-spec stuff, now included for free on a teen-friendly hot Vauxhall. The omens were looking better. Other things are less surprising. 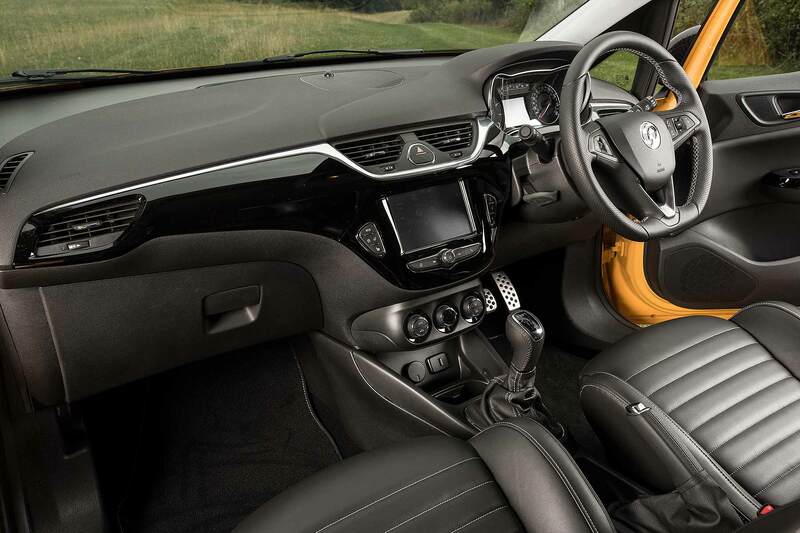 The current Corsa has been around for an eternity, and although a facelift a few years back gave it a much-improved interior including a decent touchscreen infotainment system, it’s still lacking the verve you get from any number of rivals. The seats are excellent, particularly the optional Recaros, which feel like racing seats with a bit more padding and leather. 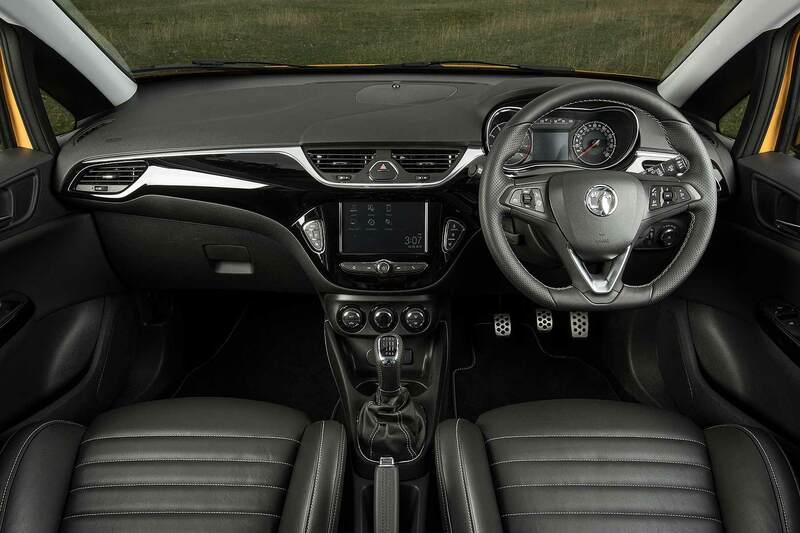 They look superb, and sit you in a perfect driving position, complete with the familiar Vauxhall controls which may excite rather less. But then, another inkling there may be more to this than first seems: the gearchange has been magically shorn of the spongy slack Corsa ‘boxes usually suffer, and snicks into first with tight precision. What’s more, within 100 yards, it’s obvious the suspension has a similar attitude. The head-nods over the ratty road surface are partly unintentional, but wholly welcome. 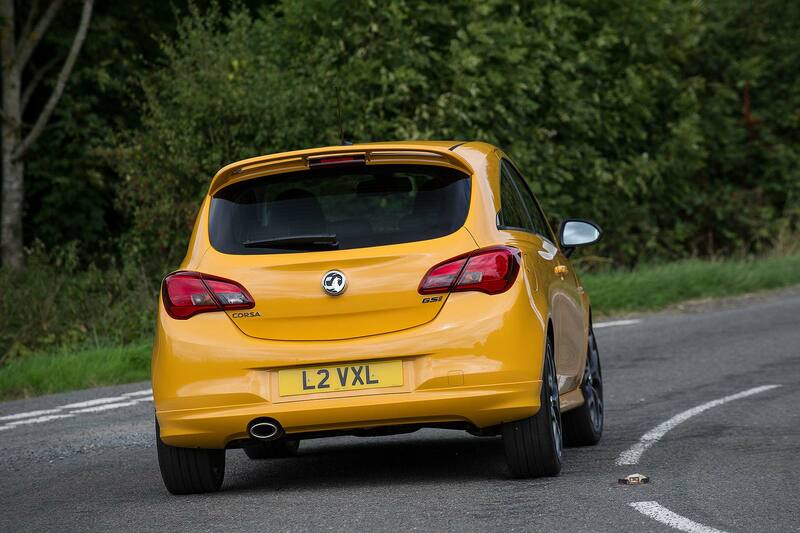 Has Vauxhall delivered a cooking Corsa with attitude? First fear vanquished: the engine. Yes, 150hp is pitifully down on a Ford Fiesta ST which, to Vauxhall’s embarrassment, costs the same. But judge it in isolation and, you know what? It’s not half bad. 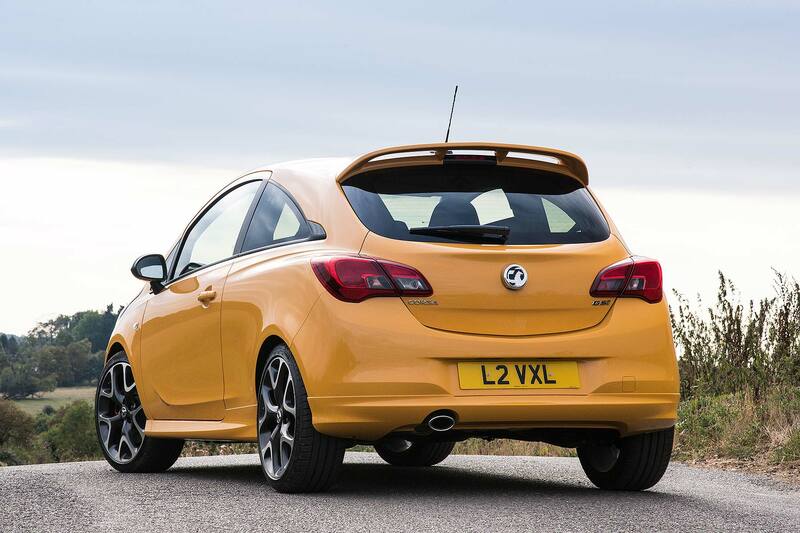 Vauxhall’s recalibration raises the vibrancy at higher revs. Power no longer “drops off a cliff” at 5,000rpm, explained a spokesman, and there’s more horsepower available as you get near the red line. 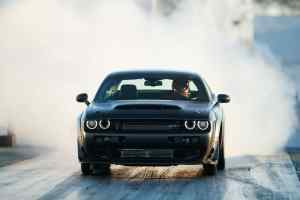 0-60mph takes 8.4 seconds and elicits a shrug, as does a sub-130mph top speed. 0-62mph? 8.9 seconds: yawn. It needs a few revs to get off the line with any spark, and a bit of boom at 5,000rpm might seem a let-down. But let it rev, all the way round to 6,500rpm: you’ll pass through the boom patch, and discover something far smoother and effervescent. Memories of tuner-friendly Vauxhall red-top engines spring to mind. It’s not fast per se, but it’s pretty good fun. That snappy gearchange is great and the spool-up whistle of the turbo at low speeds is likely to delight its target audience. No need for aftermarket mods: it’s like this straight out the box, backed up by a decent slug of rort and throb from the engine itself. 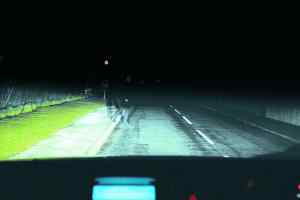 Even the pronounced torque steer steering wheel squirm under power at lower speeds seemed in keeping with this go get ‘em attitude. Then there’s the way it handles. Which is why this car is a gem. Because the Corsa GSi is in a different class to most other hot hatches for the money (except the Fiesta ST, of course, which is brilliant). All that Corsa VXR hardware is put to very good use here, creating a car with character you wouldn’t believe from its meagre on-paper power output. Sure, it’s stiff. Drive it out the dealer car park and you might literally be left breathless at its firmness in town. This is proper suspension engineering though, so there’s method behind it, and it doesn’t descend into harsh crashiness, or bangs, or rattle. Because the components are quality components, and the people that engineered it know what they are doing. So, in corners, the Corsa GSi is a bit of a go-kart, an immensely chuckable one and delivering masses of confidence when you do so. Surprisingly detailed and well-weighted steering helps here, as does a lack of delay and hesitation to inputs (a smidgen less weight over the front axle compared to the VXR, maybe?). It’s alert and alive, roll-free and fun. Those exceptional tyres play their part here, delivering terrific feel at higher speeds as you approach the limit. 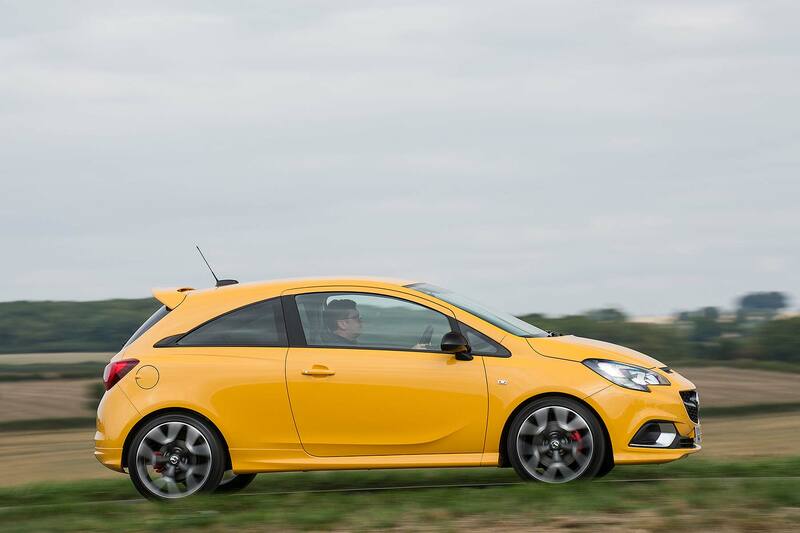 They help make the Corsa GSi a car you can basically drive flat-out, tempering your speed only when grip ultimately dictates. You might not have the power of rivals, but you have the speed, because of the setup. It’s gloriously entertaining. This is a cooking Corsa with genuine depth. Which is a right old surprise. And sure, it’s an old car, but it’s also a genuinely charismatic one, that seems perfectly pitched to its intended audience: insurance-friendly, fuel-sipping engine, but one that makes the right noises and is mated to a chassis that genuine hot hatches would be proud of. The obvious negative is thus the price. It’s too expensive. If it were £1k less, and had some amazing PCP finance deals, it could be a surprise hit. As it stands, it’s still better than you’d ever imagine. Just too pricey to truly deliver on Vauxhall’s goals.